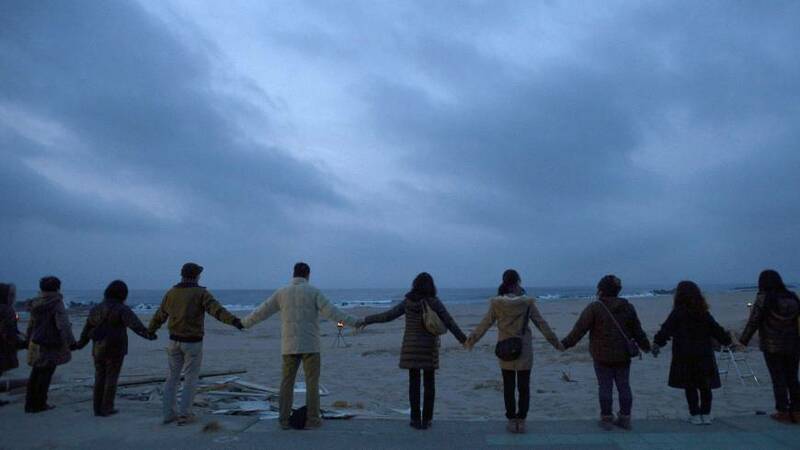 What’s Changed, 2 Years After Fukushima? Two years ago today, at 2:46pm, Japan suffered one of the worst disasters in its history. A magnitude 9 earthquake shook for 6 minutes, followed by a massive tsunami that destroyed entire cities and carried people and debris out to sea. The quake and tsunami also crippled the Fukushima Dai-Ichi nuclear power plant, taking out its backup power generators and safety systems. Tens of thousands remain displaced and likely never to return to their homes. I watched news coverage of the tsunami and nuclear disaster from the safety of the United States, while my suitcases sat packed and ready for travel to Japan to start my position at Ritsumeikan. I heard American broadcasts warn of everything but Godzilla marching down the street, and Japanese broadcasts calmly, quietly, try to balance informing the public with protecting those in power. Somewhere in between those two extremes lied the news people needed to hear, and that is still largely ignored in the mainstream Japanese press. 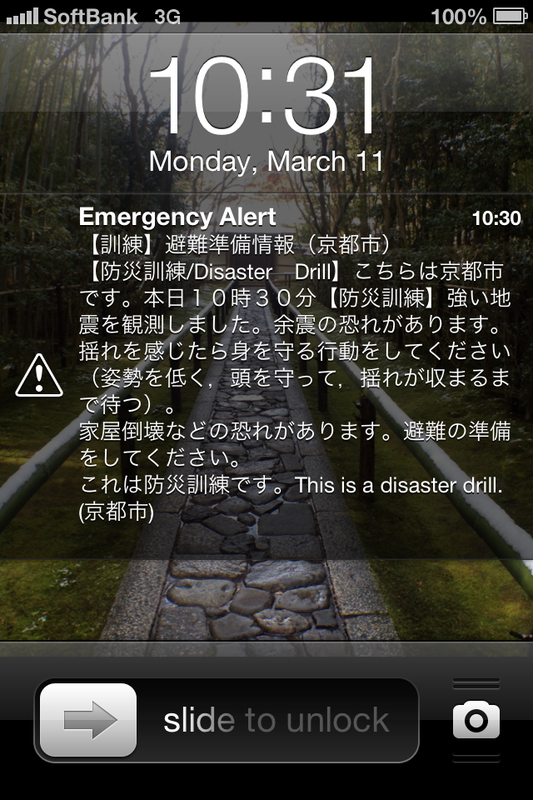 Governments across Japan conducted disaster drills on the anniversary of 3-11. This week, TV news have covered elements of the nuclear disaster in detail, and undoubtedly many people across the country will observe a moment of silence at the time the quake struck. But for the those who had to evacuate, there is likely no going back. Many still live in poorly built temporary housing and struggle to form new community ties. Victims of the disaster continue to struggle with domestic violence, unemployment, depression, and suicide. And many live just outside the evacuation areas, near radioactive hotspots, and in areas where radiation cleanup work has been shoddy and ineffective. The yakuza, Japan’s labor broker of last resort, have done well in the aftermath of the disaster, but how about the people of Tohoku? While disasters often bring people together, leading us to help each other and to sacrifice for the common good, eventually the institutionalized patterns of corruption and inequality reappear. Prior to the disasters, the regulatory bodies that ostensibly existed to protect the public from the deadly hazards of nuclear power, instead served to protect the profits of the agencies they were supposed to regulate. This brazen failure of governance raises the question I have asked my Japanese students each semester, whom does the government serve? Does it represent you, your voice, your interests, or those of Japan’s corporate oligarchy? Is the system rigged in their favor? The questions are largely rhetorical, but I often get the sense that students had not previously given this issue much thought. One cliche often heard in Japan was that 3-11, much like 9-11, changed everything. 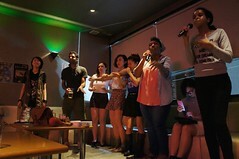 The challenge Japan faces is whether the events changed anything at all. Beyond the buildings and nearly 20,000 lives that were lost, what has changed? The Abe administration moves ahead with plans to restart Japan’s nuclear power plants, and a newly restructured nuclear regulatory agency struggles for legitimacy. Will the new agency actually regulate the industry? Will the agency shut down nuclear power plants that were built on active earthquake faults? Will it enforce new safety regulations? Will the government be able to turn down the companies that have invested billions in plants and fuel processing facilities? Who will the government represent in making those decisions? It will take another 40 years to decommission the Fukushima Dai-Ichi plant, requiring the use of technologies not yet invented to remove melted nuclear fuel from inside the damaged reactors and spent fuel pools. Righting the country’s course will require continued vigilance. If that happens, then 3-11 will really have changed everything. This entry was posted in Robert's Posts and tagged fukushima, japan, nuclear power, social movements. Bookmark the permalink.